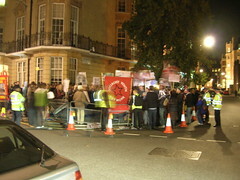 London – 31 October 2007. 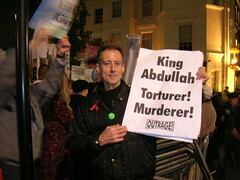 Outside the Saudi Arabian Embassy, campaigners gathered to protest against human rights abuses in Saudi Arabia, co-inciding with the state visit by King Abdullah. 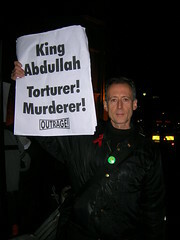 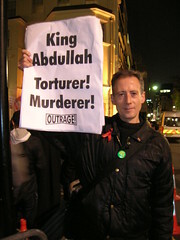 Pictured is Peter Tatchell of OutRage!